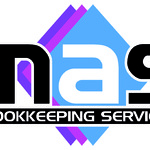 I am an IAB Qualified, Professional Freelance Bookkeeper, based in Preston. I can process your books remotely, or can come to you if local. Sage & Xero specialist. Having...Read moreI am an IAB Qualified, Professional Freelance Bookkeeper, based in Preston. I can process your books remotely, or can come to you if local. Sage & Xero specialist. Bookkeeping, vat returns, payroll, Auto Enrolment, PAYE, CIS, monthly Profit & Loss, year end taking it up to Trial Balance. I can communicate with HMRC on your behalf. Fully insured and HMRC Compliant. Nothing is complicated for me. I have a great attention to detail and very motivated. References can be given upto request. Prepare Employer Allowance (NICS) reclaim 2016/2017 & 2017/2018 - PAYE. Nazma was excellent to work with, very efficient with a speedy turnaround and superb communication. Thanks for patience, great job! Great again. Thank you Nazma! Thank you Nazma for all your help!